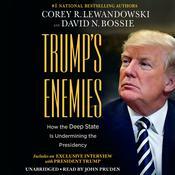 This book will reveal the heart of the hostile bureaucratic network that has been operating in the shadows until the American people voted Trump into office. Trump’s determination to transform the government, wipe out the swamp, and reduce the power of the bureaucratic machine has set him on a collision course with agencies populated by a workforce resistant to the American people’s agenda. 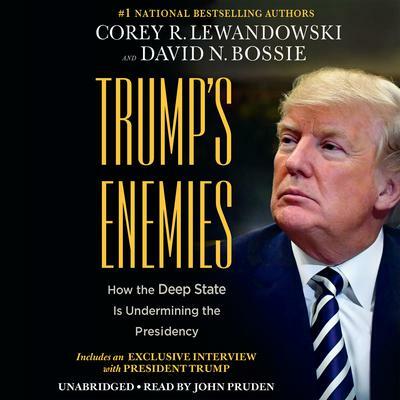 Corey R. Lewandowski is president and CEO of Lewandowski Strategic Advisors, a government and public-affairs consulting shop, as well as a TV political commentator. He served as the chief political adviser and campaign manager for President Donald Trump, as well as the national director of Voter Registration of Americans for Prosperity and Americans for Prosperity Foundation. 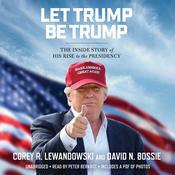 He makes regular appearances on Fox News, Fox Business, ABC, NBC, MSNBC, CBS and CNN, as well as serving as on-the-record spokesperson to major print outlets such as the Wall Street Journal, Washington Post, New York Times, USA Today, London Guardian, Daily Mail, Boston Globe, and numerous other print and on-line news publications.